William Lister Lister was born in the Sydney suburb of Manly, later moving to Yorkshire in England, where he studied at the College of Science and Arts and exhibited at the Royal Scottish Academy. Lister Lister returned to Sydney in 1888 where he began producing landscapes, seascapes and coastal scenes for which he is best known. He was also an early influence on the work of Margaret Preston who was a noted admirer. 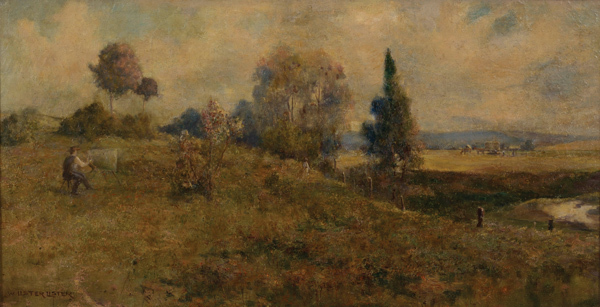 Lister Lister was a seven times winner of the Wynne Prize and in 1898 he was exhibited at an Exhibition of Australian Art at the Grafton Galleries, London.